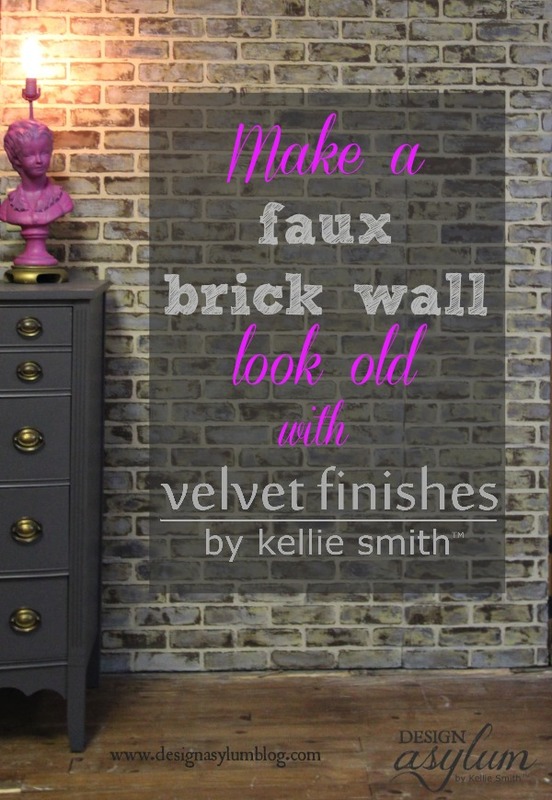 Painting faux brick walls is easy! Brick walls, brick floors, brick ceilings. Any and all of them. 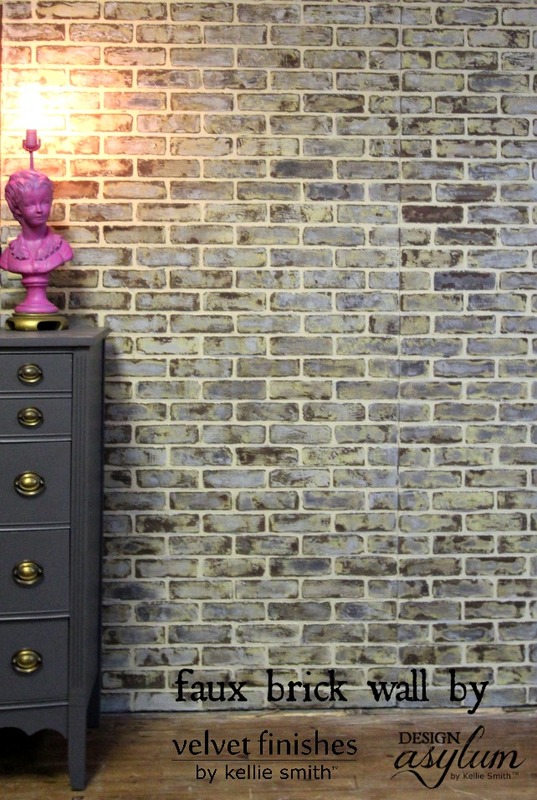 Brick can really give a space a unique and textured look, whether left natural or painted. 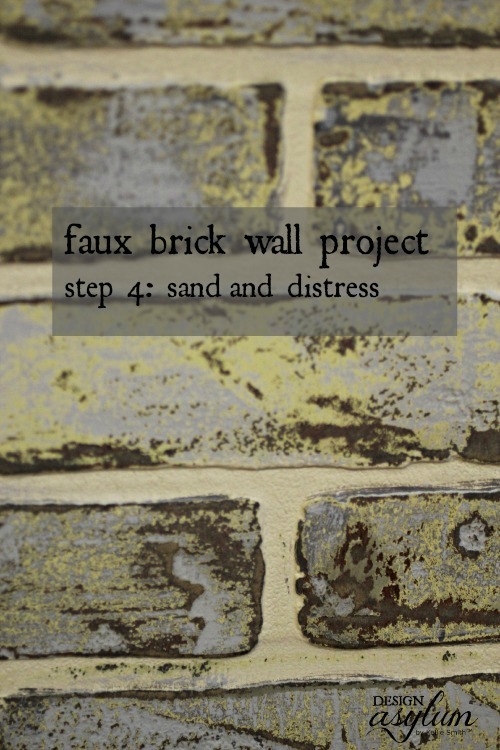 I decided to add a brick wall section in the design studio for photographing furniture and I wanted it to look old. I wanted character and layers of time. The process was quite simple! 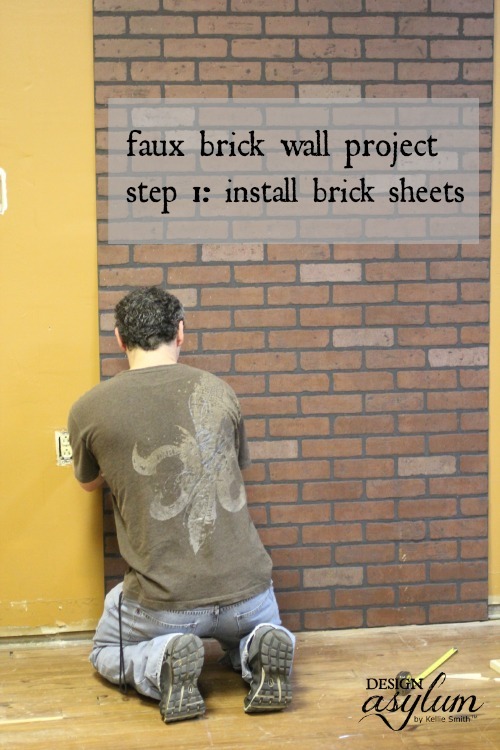 I purchased faux brick sheets from Lowe’s. They come in 4′ x 8′ sheets and run around $27/sheet. Not bad. The space I wanted to have the brick is only about 6′ wide so we needed 2 sheets. The Accomplice installed the first sheet and then determined how wide the second piece would have to be. It was easy to cut with a table saw. When using cut pieces, be sure you are butting the sides together that make the complete brick pattern, rather than having the pattern mismatched at a seam. By using an oscillating multi tool, like this on on Toolerant. 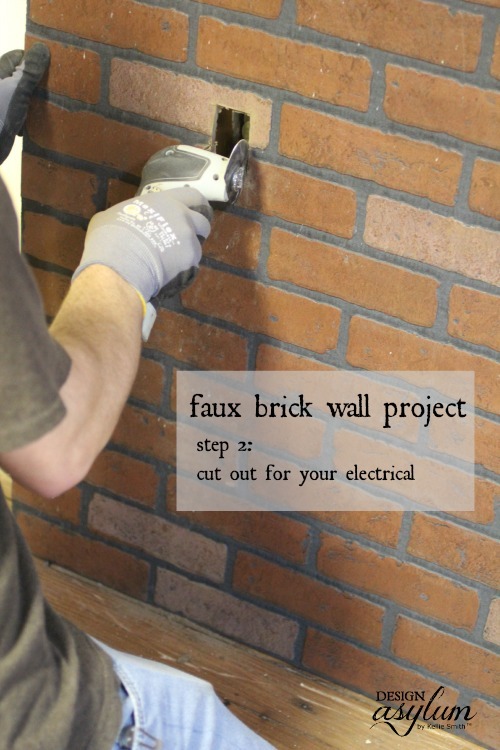 Cutting the brick sheet was simple as The Accomplice measured where the electrical outlets were before he hung the sheets so he knew exactly where to cut. Be sure to kill the power to any electrical boxes you are cutting through to, we don’t want any injuries out there! Speaking of boxes, you can also rent cardboard boxes from Teacrate. 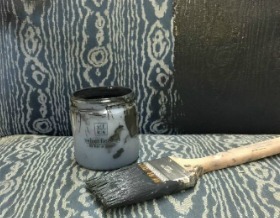 We began by painting the base coat of Velvet Finishes Soulful. We used this to cover the entire wall. Next, I covered most of the bricks with Timeless. I wasn’t extra careful – remember I’m a little lazy – to not paint the ‘grout lines’ of the wall, but I did try to avoid that. I wanted the grout to be the beige. Since this is supposed to look old, don’t worry about having perfect lines or an even coat. 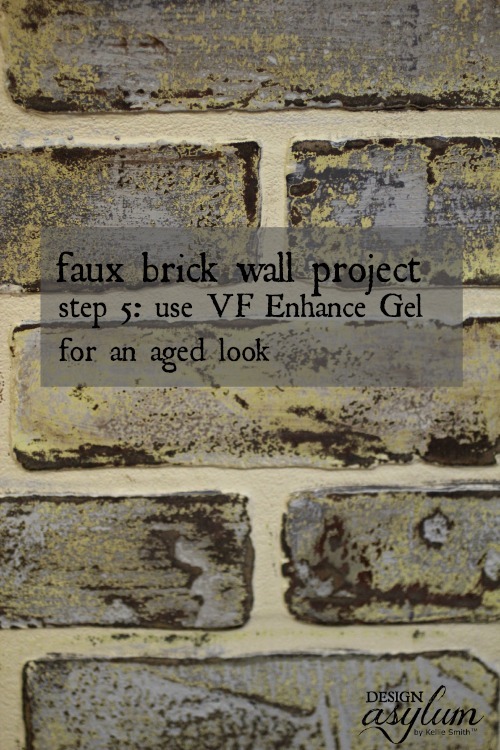 I used the Reviver 1A in the Velvet Finishes line for painting the bricks. For my last color, I painted Opulent. I covered almost all of the bricks, but not quite. And again, no need for perfect coats or straight edges. Here’s where the real fun begins! 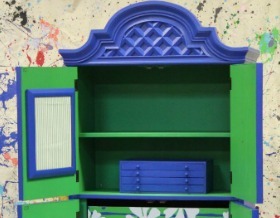 The sanding is what makes this project. I like to use the Ryobi Corner Sander for my furniture projects and it worked great for this as well. Use varying amounts of pressure – from light to really digging deep. By varying the pressure you are varying the color and allowing the layers to show. To tone down the color contrast, I used the VF Enhance Gel product in the dark brown, Prestigious. I applied the Gel with a lint-free rag. Again, not evenly or perfectly. Easy peasy. When Soulful is sanded it takes on a slightly yellow tone, which I love, but I wanted to tone that down for this project. The Gel added just the right touch. 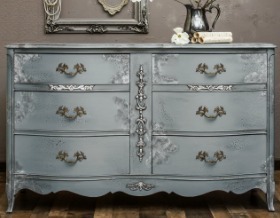 It deepened all the colors and created a warm, rich patina. Note that I only added the Gel to the bricks and did not gel the grout lines. STEP 6: STAND BACK AND ADMIRE YOUR WORK! I LOVE the way this project turned out! How do you feel about brick? Do you have any in your home? I think it would be fun to layer with bright colors also so I’ll probably find another spot in the studio and do a bolder color combo too! Thank you! I have always been obsessed with brick. I just love it!! So glad others find it as interesting as I do!! 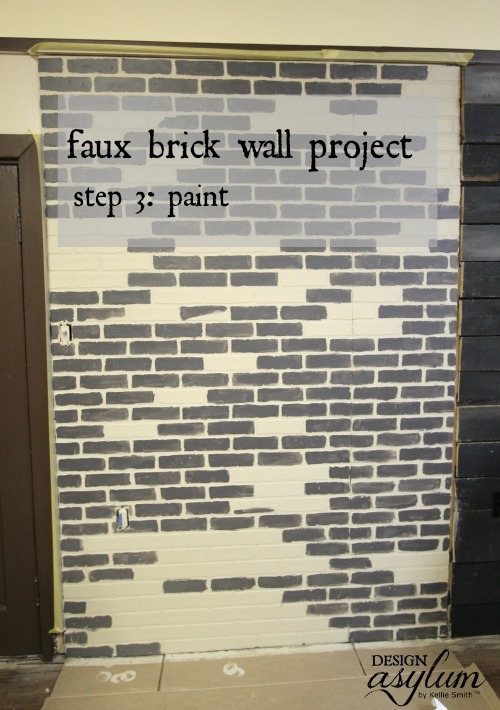 Wow, this really does look like faux bricks. I never knew something like this existed and at Lowes. What a great idea for a studio backdrop. I want to use it on everything now!!! It cuts so easy… My mind is a wandering… Kitchen backsplash maybe? (-: Thanks for reading! Love your blog, spent a little time on it this morning! Wow! That is so cool! The aging makes it look so realistic. I am very impressed! Thank you Star! Yes, I think the Gel really made a huge difference!! Kellie!!! This looks AWESOME! You kill it with all the layering!! Love it! Girl!! Thank you! I’m pleased with the way the wall turned out! What?! 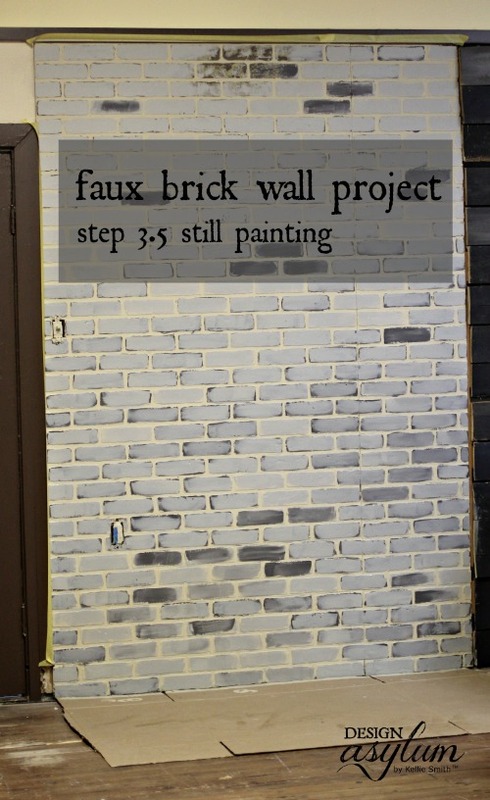 I NEVER would have guessed that that wasn’t a real brick wall! I love it! Your instructions were clear (yay!!!) and your outcome is absolutely lovely! Oooo that would be interesting Pamela! If you do this please share pics with me! My favorite part of the read was “accomplice” funny! Nice job, very homey and amazing! Haha Lizzy!! He’s a must-have around the studio for sure! Thanks for stopping by!